The term vacuum (coming from the Latin word “vacuus” - empty) means empty room. Vacuum in technology and classic physics means the fluid state in a volume under a pressure which is significantly lower than the atmospheric pressure under normal conditions. Colloquially, vacuum is mainly used to describe a room without air (e.g. 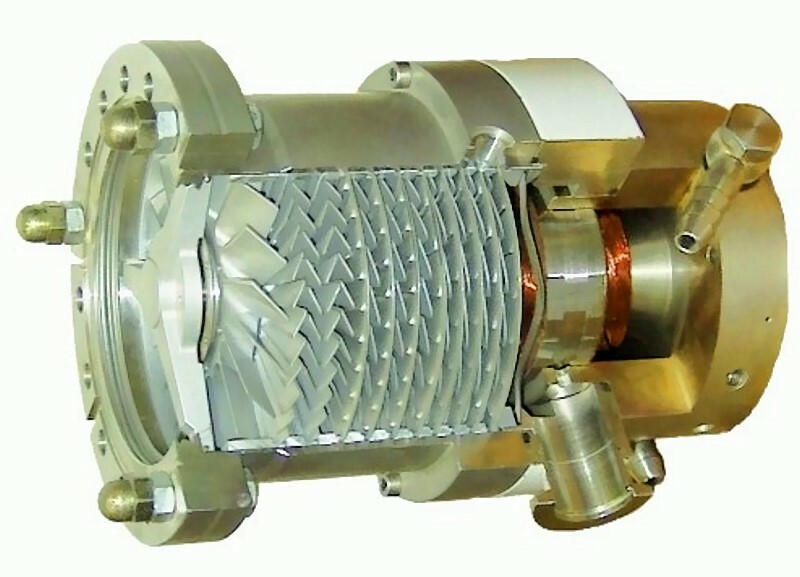 vacuum package). Extremely low absolute pressure is called high vacuum. If the pressure in an evacuated vessel is much lower than the atmospheric pressure, the correct term would be “lowered pressure” or “reduced pressure”. Technical vacua can be created in different qualities. 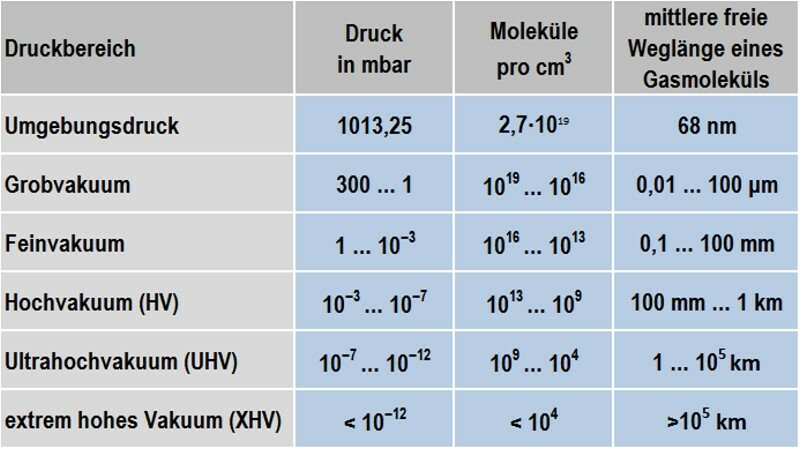 In technology, there is a distinction between different achieved vacuum qualities based on the remaining matter (Table 1). By default, pressure is indicated in Pascal (Pa) or millibar (mbar). DIN 28400-1990, Part 1, Vacuum technology; terms and definitions; general terms, Deutsches Institut für Normung e.V. Kramer C., Mühlbauer A. (eds. ), Praxishandbuch der Thermoprozesstechnik, Vol. I, Vulkan-Verlag Gmbh, Essen, 2002.